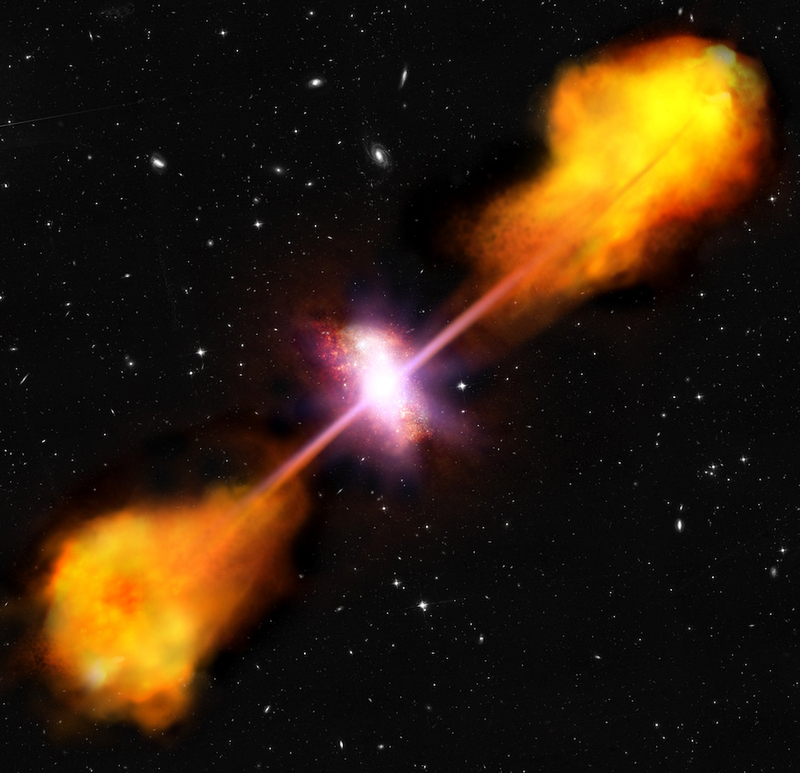 This image is an artist's impression of a radio-loud quasar in a star-forming galaxy. The quasar is powered by the supermassive black hole at the galaxy's centre. As gas is drawn into an accretion disc around the black hole it heats to very high temperatures and radiates energy across the electromagnetic spectrum, preferentially in the direction of two powerful jets. In addition, the galaxy is making stars at a prolific rate of hundreds per year. For comparison, our Milky Way Galaxy makes 1-2 stars per year.